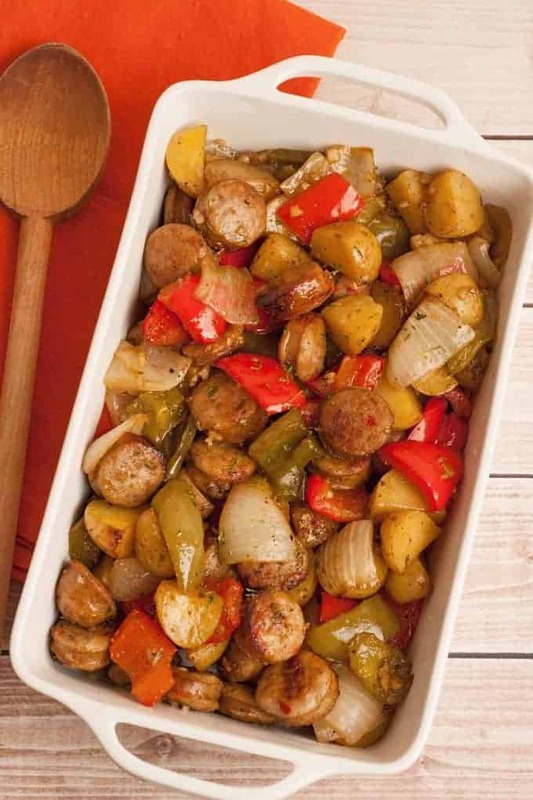 The perfect choice for when you want a home-cooked meal but don’t feel like fussing, this flavorful dish is a quick-to-fix combination of of Italian sausage, red and green bell peppers, new potatoes, garlic, onions and balsamic vinegar. Once it’s mixed and in the oven, just make a green salad and you’ll have a complete dinner. 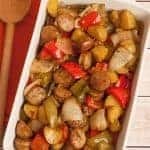 An easy dinner of Italian sausage, bell peppers and new potatoes, cut into bite-sized pieces and roasted with garlic, balsamic vinegar and olive oil. Preheat the oven to 400°F and line a large, shallow baking pan with parchment. 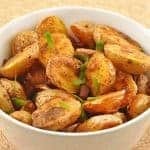 Precook the potatoes by arranging them on a flat plate and microwaving on high for 4 minutes. Alternately, you can roast them in the oven by themselves for 7 to 8 minutes. Whisk the balsamic vinegar, olive oil and garlic together in the bottom of a large mixing bowl. Add the sausage, onion, red pepper, green pepper and precooked potatoes. 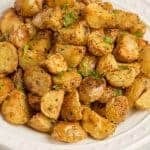 Season with a few grinds of black pepper and a pinch of salt, toss to coat with the balsamic vinegar mixture and transfer to the prepared baking pan. Note: Go easy on the salt as the sausage will flavor the potatoes and peppers during cooking. 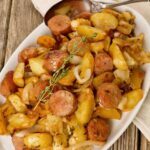 Roast until the sausage is nicely browned and the potatoes and peppers are tender and lightly caramelized, 25 to 30 minutes. Turn the mixture once with a spatula about halfway through the cooking time for even browning. 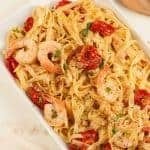 Plate individual servings and top with grated cheese if desired. 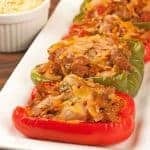 We used a fully-cooked chicken sausage in this recipe (hence the posting in our poultry category), but any type of Italian sausage will work – cooked, uncooked, pork, chicken, turkey – just choose your favorite. Glad you liked this recipe. 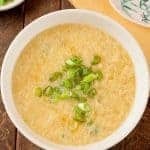 It’s one of my favorite easy meals. This is super easy and fast to fix. I like to add a couple of cut up vidalia onions, but then I live 10 minutes from Vidalia, so those things go into nearly everything. Vidalia onions make just about everything better!